Ryan Hansford in his Peters Motorsport prepared Multispares Torana has finished 2nd in the Pro Am class and 4th overall in his debut season of Touring Car Masters. Around the tight and tricky street circuit in Newcastle Ryan got the weekend underway with blistering pace, quickest in both practice sessions before putting in one of his best laps of the year to take his first pole position. “This time we nearly got it spot on as the Multispares Torana rolled out of the transporter and we only had to change the diff after P2 so come qualifying we were still once step ahead of the field” he added. In both races Ryan got jumped at the rolling start and got out muscled into turn 1, but the gorgeous Yellow and Blue Multispares Torana came through unscathed and he raced hard in the heat, full of a head cold, to finish 2nd in Race 1 and 4th in Race 2. 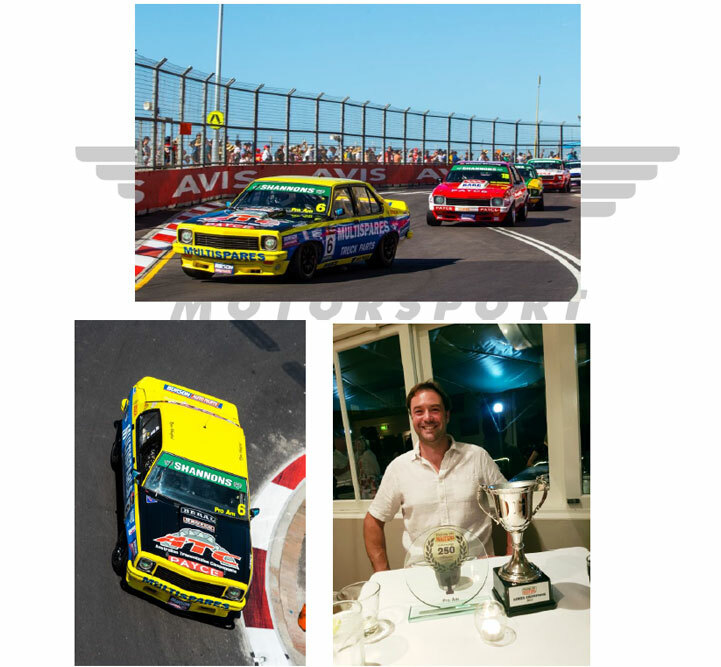 “I have had a great season and really would to thanks Rod Dawson who owns the car and Multispares and ATC who carried their support over from the Ute series.” Said Ryan, totally exhausted as he climbed out of the Torana for the last time this season. “Dale and Chris, along with Rod have given me a super quick car, and we have all had to learn “on the go” all year. Back at the workshop Jivan works tirelessly and all the boys that come and help of a night and weekend – thank you” added Ryan. The team will give the mighty Torana a rebuild over the break and make some more improvements so everyone can’t wait to be back on the streets of Adelaide March 1st, 2018.